Melinda Murphy…Here is one for your Itty-Bitty Giant Steps. 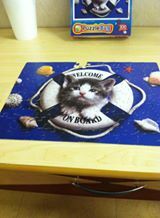 I used to be able to do 5000-piece puzzles in 2 or 3 days. I have not done any at all since the accident, until now. Four days, 2 tables, and only 100 pieces – but I did one, and I am thrilled (even if a piece was missing)! Carmen Gaarder Kumm…Here is my Itty-Bitty Giant Step. I worked 4 1/5 hours today. I took three kids to town (20 minutes away), completed what needed to be done (I only forgot one thing, but my daughter will do that for me in the morning, as she is going anyway), picked up supper (knowing that I wouldn’t have much time once we got home), finished a Facebook page for our church, helped a bit with Vacation Bible School, picked green beans in the garden, and packed for the weekend away. I’m in bed before 10:00, and I don’t feel I overdid it…feeling good actually. Donna O’Donnell Figurski (caregiver)…This week we have friends from Germany visiting us. They wanted to go to the Grand Canyon, which is about 4 hours from my home – too far for a day trip. Though David would have liked to go, he knew it would be too difficult for him, and he had seen it a few times before. He chose to remain home. able to stay at home during the day, I always worry about the night. David convinced me he would be just fine, and after much discussion and a ton of angst, I agreed to go with our friends to the canyon. I insisted that David and I be in constant cell-phone contact. 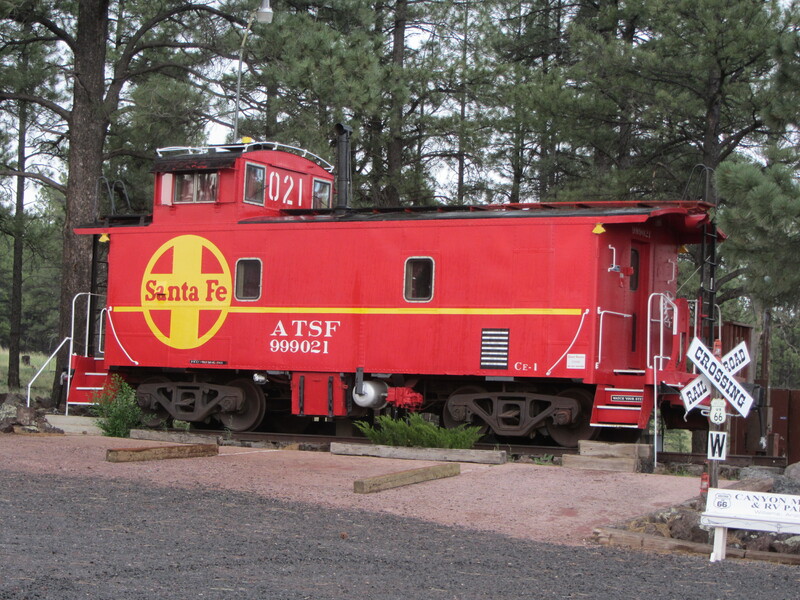 So off we went to Williams, Arizona, where I slept in a little red caboose, which is supposedly haunted. The ghost may or may not have made an appearance. The jury is still out on that one. But the jury is in on my trip to the Grand Canyon and on David’s staying overnight by himself. He did it! I did it! Good job going to caboose! Good to get out. New experiences. .. environments challenge yourself every time you can, at your own pace..with stimulation. I know what you mean about balance. The little red caboose was fun. It was supposed to be haunted. The jury is still out on that. LOL Maybe you will come across a little red caboose on your “Ride For Life” Triking Across America trip. Have fun.